Kia Motors has released details of its new 8-speed automatic transmission for its front-wheel drive vehicles. The transmission, called FWD 8AT, has been developed completely in-house and has a number of technological innovations for which Kia has filed 143 patents. The advantages of this new 8-speed auto are numerous, says Kia, and it also manages to better the drive ability and fuel economy than its 6-speed automatic transmission. One of the biggest challenges of incorporating so many gears in a front-wheel-drive car is lack of space in the engine bay. The transmission has to co-exist with the engine and other components, which limits the number of gears that can be packed in. Also, the transmission in a front-wheel-drive car has to be transversely mounted, which is another challenge. Kia says that its clever packaging has resulted in an 8-speed transmission that occupies as much space as the 6-speed transmission, while weighing 3.5kg less. For the 8-speed transmission, the company incorporated an additional clutch with the existing three planetary gears of the 6-speed automatic transmission. The aim was to make a transmission as compact as possible. 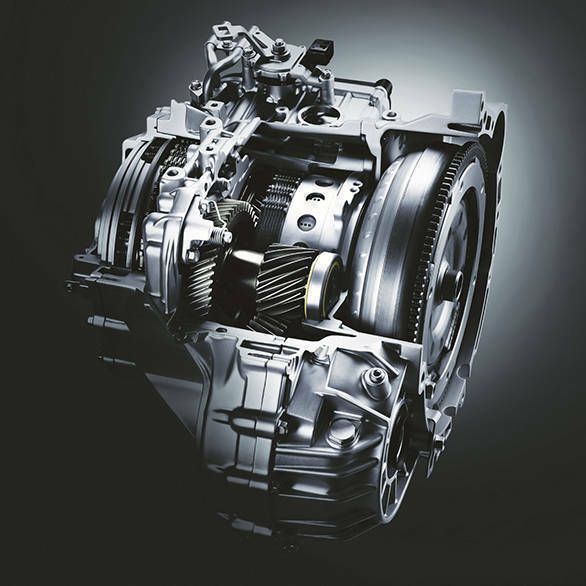 A large number of gears improves driving flexibility and increased fuel economy. At low speeds, more gears translates to better driveability, and better acceleration over a 6-speed automatic. Eight gears also means lower engine revs at high speeds which significantly improves fuel economy. It also results in reduced NVH levels. The improved fuel economy is also achieved by using an improved design for the valve body and the oil pump. These control the hydraulic pressure to the clutch. Kia has increased the capacity of the solenoid valves, which has allowed solenoid control of the clutch via a direct-control valve. This eliminates the need for a large number of control valves. In this case the number is reduced from 12 to 20. The direct-control valve also results in quicker shifts and improved smoothness. This transmission also uses the smallest oil pump of any production transmission of its class. The advantages is efficient use of transmission fluid and better distribution to all units of the transmission. 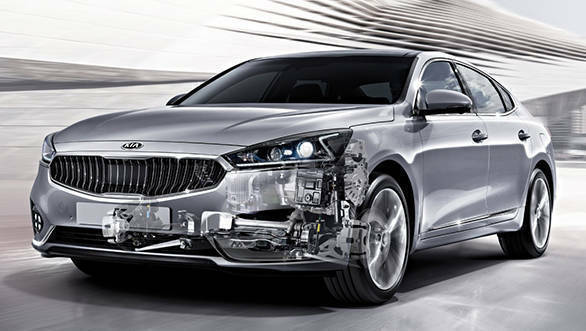 The new 8-speed AT will debut in the 2017 Kia Cadenza sedan which will go on sale in select markets soon. 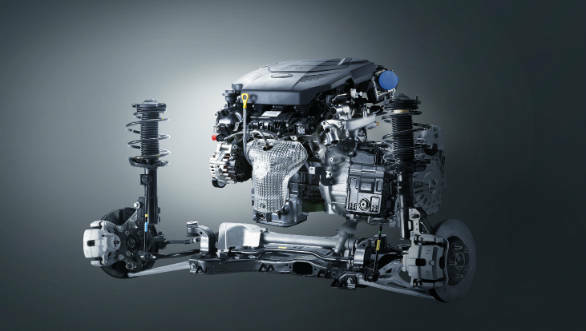 The 3.3-litre, V6, GDI engine in the Cadenza will get this new transmission as standard. Kia adds that its mid-size and large front-wheel-drive cars will also get this transmission in the future. Kia is about to set up a factory in India and has been searching for a location. Besides introducing a few of its models in India, the Korean carmaker is expected to export cars from India. Watch the video for a detailed view and explanation of KIa's new 8-speed automatic transmission.